Tuesday was Sine Die for the 2019 General Assembly session and I am pleased to report that the CBA was successful in securing the passage of SB157. Once signed into law by Governor Kemp, CBA will work closely with the State Depository Board to establish parameters for third party providers that offer deposit placement services for banks that secure deposits from municipalities. SB157 is incredibly important legislation because it allows community banks to compete with larger - mostly out of state banks – for municipal deposits by eliminating the costly and burdensome requirement of pledging collateral. Georgia was the last state to approve such legislation. CBA recognized this as a competitive disadvantage for community banks and worked closely with the Kemp administration and legislators to remedy. As a result of CBA’s tireless efforts, SB157 received unanimous passage from both the House and Senate! I have sent a letter to all community banks with more detail as to the specifics of the process and the benefits of the legislation itself. Now that the legislative session is over, your representatives will be returning home to once again become an active part of the local communities they serve. Please take the time to thank your respective representatives for their support of SB157. As noted, the bill was passed with unanimous support! To find contact information for your legislator please access https://openstates.org/ga/. On behalf of the CBA, I personally sent a thank you letter to every legislator as well. Having served on a federal level at ICBA, I learned that community banking is bi-partisan. Legislators from both sides of the isle and all walks of life understand the importance of the community banking industry. Now, with my first Georgia legislative session in the rear view mirror, I can say that this is certainly the case in Georgia as well. I had so many great conversations with legislators regarding what their local community bank means to their hometown. They really understand community banking and the differences between local banks and large, money center institutions. I learned firsthand this session just how powerful the community bank message can be if unencumbered and properly aligned with other industry stakeholders such as the NFIB (National Federal of Independent Businesses), The Georgia Municipal Association (GMA) and The Association of County Commissioners (ACCG). In summary, as SB157 clearly illustrates, the community banking voice is a strong one and you can always count on CBA to make sure your interests are represented! Read the letter. Let CBA Help Your Bank Celebrate! April is Community Banking Month and the Community Bankers Association of Georgia and community banks across Georgia are recognizing the unique spirit that makes community banks the foundation of their communities in cities and towns throughout the state. Governor Brian Kemp recently proclaimed April 2019 as Community Banking Month in Georgia. Make your plans now on how you will show appreciation to your customers and demonstrate the importance of community banking. Take advantage of FREE resources from CBA, including press releases, website banner ads, ideas to celebrate, and much more! For more information, contact Jeremy Thomens at CBA at Jeremy@cbaofga.com or (770) 541-0380. ICBA also kicked off Community Banking Month by reminding consumers that community banks continue to expand and innovate to meet the needs of rural, suburban and urban communities. Read more from ICBA. Held at Albany’s Wynfield Plantation on March 26th, the Charlie Curry Memorial Spring Clay Shoot raised funds for CBA’s PAC/PR. “We were touched by the turn-out for this very special Clay Shoot. Charlie’s family supported the event as well as many other bankers and Associate Members who knew Mr. Curry and his passion for the CBA and Georgia’s community banking industry as a whole,” stated John McNair, President & CEO, CBA of Georgia. “Our sporting clay shoots continue to be a fun experience for everyone involved and we couldn’t be more appreciative of the support for this worthy cause.” Over 80 bankers and Associate Members came out and helped raise funds for CBA’s PAC/PR Funds and enjoyed a tribute by Scott Tomlinson, CEO, Flint Community Bank, honoring Mr. Curry and his legacy. First Place team sponsored by Colony Bank (L-R): Ronald Lindsey, Jeff Wiggins, Chip Leveson and Tommy Clark. Team’s average was 75.5. Second Place team sponsored by Mauldin & Jenkins (L-R): Thomas Bennett, Michael Lott, Rob Douglas and Jonathon Guthrie. Team’s average was 73.25. The day’s highest individual score was 93 shot by Mickey Davis with Family Bank’s team. The following individuals scored 80 or better: Ronald Lindsey (91), Rusty Trawick (89); Dave Fain (86); Tommy Clark (82); Jonathon Guthrie (81); Andy McMath (80); and, Caleb McKeever (80). A very special “thank you” goes out to the Curry family for their support of this event: First State Bank of Randolph County was a 12-gauge sponsor and had a full team. Scott, Brandi, Heather, Lorraine and Jimmy also joined the group for lunch. Spring is here and the Annual Leadership Division PAC/PR Golf Tournaments are a great way to network with other community bankers and associate members to benefit a good cause. Proceeds go to the CBA Political Action Committee (PAC) and Public Relations (PR) funds. These funds provide Georgia’s community banking industry a voice in state politics. Sponsorships are available on a first-come, first-served basis. For information on sponsoring, please contact Lindsay Greene at lindsay@cbaofga.com or (770) 541-0376. Mike Sale, President & CEO, The Commercial Bank, Crawford, was named to the Board of Directors of Community Bankers Association of Georgia, representing Division 2. Mr. Sale will also serve as the By-Laws Committee Chair. “We welcome Mike to the Board,” commented Tim Jones, President, Citizens Community Bank, Valdosta, and 2018-2019 CBA Chair. “CBA continues to thrive due to the efforts and guidance provided by the community bank leaders who make up CBA’s Board of Directors. We appreciate our Board’s commitment to continuing to strengthen the community banking industry in Georgia. Federal legislation to establish a cannabis-banking safe harbor passed the House Financial Services Committee by a bipartisan vote of 45-15. The bill’s safe harbor from federal sanctions would apply to financial institutions and ancillary companies that serve cannabis-related businesses in states where cannabis is legal. The bill would apply solely to states that have legalized cannabis for medical or recreational use. Read more from ICBA. In 1994, there were only 14 credit unions in the nation that were $1 billion or larger. Today, there are 300 and growing. Meanwhile, according to FDIC official records, the number of banks in our nation is at the lowest point in recent history. From a high of 18,033 in 1985, there were 5,477 as of the third quarter of 2018. Read the full article. Consumer Financial Protection Bureau Director Kathleen Kraninger began a two-year term as chairman of the Federal Financial Institutions Examination Council. Kraninger succeeds FDIC Chairman Jelena McWilliams. The FFIEC named National Credit Union Administration Board Chairman J. Mark McWatters as its new vice chairman for the same two-year term. Read more from the FFIEC. ​The FDIC board of directors approved proposals to amend two rules to simplify the process for making insurance determinations in the event a bank is placed into receivership. One proposal, which applies only to institutions with more than 2 million deposit accounts, would facilitate the payment of insured deposits to customers if the institution were to fail. The second, which applies to all FDIC-insured institutions, provides an alternative method for separately insuring deposits in a joint account from deposits individually owned by the account’s co-owners. While current rules require each co-owner to have signed a signature card, the proposal would allow the signature card requirement to be satisfied by other information contained in an institution’s deposit account records. Read more from the FDIC. The OCC recently reminded national banks that they are prohibited by regulation from disclosing nonpublic OCC information. Any unauthorized disclosure or use of OCC exam reports and CAMELS ratings, supervisory correspondence, investigatory files and other nonpublic information without the OCC’s permission may be subject to criminal penalties under federal law. Read the OCC guidance. ​Regulators published Home Mortgage Disclosure Act data for approximately 5,400 financial institutions. This is the first year in which additional data reported by certain institutions under the 2015 HMDA rule will be available. The Modified Loan Application Registers contain loan-level information for 2018 on individual HMDA filers, modified to protect privacy. Later this year, additional information will be published related to HMDA, including a complete loan-level dataset and disclosure reports. These will be accompanied by an article highlighting key trends. Read More from CFPB. CBA currently has an immediate opening for a Graphic Design & Marketing Intern. The internship offers the opportunity to strengthen design experience, build a design portfolio in a professional environment, and make professional connections. CBA is happy to assist in arranging academic credit and provide letters of recommendation. If you know anyone who may be interested, please have a resume and cover letter emailed to Lindsay@cbaofga.com. See the full description. Are You Focused on the Future? Join STS Group, a CBA Endorsed Member Company, at CBA headquarters for an informative Lunch and Learn exploring the future of branch automation technology. Don't miss this unique opportunity to get your questions about branch automation technology answered by a panel of experts. This panel will consist of industry visionary Scott Couch, technology expert Chris Nelson, and a Community Banker currently seeing improvements in their bottom line thanks to branch technology. More than 1,500 financial institutions use branch automation technology to better serve their customers and lower operation costs. Come learn what these innovative industry leaders know! Also attend for a chance to win a two-night beach vacation at Kiva Dunes at Gulf Shores, AL! To RSVP for this complimentary event, please email Katie@stsgrp.com. The Baker Group, a CBA Endorsed Member Company, is hosting a complimentary webinar on investment strategies for the 2nd quarter. Financial institutions’ CEOs, CFOs, investment officers, board members, and those who are directly or indirectly responsible for financial management functions will benefit from this webinar. Click here for more info on webinars from The Baker Group. Click here to register. Congratulations to Doug Harper, Executive Vice President and CFO of Persons Banking Company, Macon, on his recent retirement. The bank held a reception for Doug to celebrate his 12 years of service. First Bank of Dalton, a division of First Bank, recently participated in CCHS Future Fest, where seniors at Coahulla Creek High School received "tools of the trade" from local business and industry professionals. Professionals counseled students on the skills they will need as they transition into college and career. The bank held a class on financial literacy as part of the program. Members of Oconee State Bank's Green Committee, along with volunteers from the Oconee County Chamber of Commerce-Georgia’s Youth Leadership group, came together to clean two miles of litter for the Keep Oconee County Beautiful Commission. ​Altamaha Bank & Trust, Vidalia, recently spoke to second grade classes at Robert Toombs Christian Academy. Bank employees explained how currency is produced and played a game to detecting counterfeit bills. Derek Williams, President/CEO of Century Bank and Trust, Milledgeville, and member of CBA's Board of Directors, recently spoke with the 7th Georgia Military College Boy Scouts of America on the dynamics of banking in America and shared the many benefits of community banking. Queensborough National Bank & Trust Co., Sandersville, recently met the Washington County Chamber of Commerce Sandersville Georgia Youth Leadership group to teach about financial literacy, as well as discuss regrets from millennials which are mostly financially based. ​Team members from The Citizens Bank of Cochran recently participated in the Bleckley Middle School Jobs Fair to teach students more about the bank. Billy Sullivan, Head of Mortgage Group at Oconee State Bank, Watkinsville, was recently interviewed by Athens CEO to discuss the importance of the bank's company culture and meeting the needs of the community. Watch the interview. Rob Edwards has been promoted to Chief Risk Officer. Rob Boyden has been promoted to Chief Commercial Credit Officer. Michael Harris has been promoted to Market President for Moultrie. 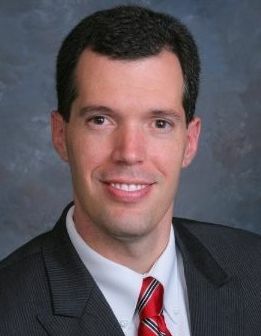 BJ Green has joined the bank as Executive Vice President and Georgia Commercial Banking Executive. Priscilla Johnston has been promoted to Assistant Vice President, Purchasing and Accounts Payable Manager. Jonathan Young has been promoted to Senior Mortgage Lending Officer. Jamie Davis has joined the bank’s lending team. Felecia Young has been promoted to Commercial Banker. Mark Yarbrough has joined the bank as a Commercial Banker. Ryan Sower is Executive Vice President of Executive Insurance Agency, Inc., which provides a "blanket” single interest protection for your consumer installment loan portfolio. Banks may select any number of variations of a comprehensive basic plan, which provide protection on their collateralized installment loan portfolio. Key areas of coverage are: All Risk Physical Damage, Non-Filing and Skip, as well as Damage Occurring after Repossession. A unique "GAP” feature can also be included. They provide excellent rates and service you can rely on. Contact Ryan Sower at (770) 474-2355 or ryan@executiveinsuranceagency.com. To learn more about Executive Insurance Agency, please visit www.executiveinsuranceagency.com. Application judging is scheduled for Thursday, April 18th.